Come and give Spriteley’s a go! Are you sitting at home feeling lonely and isolated? Spriteley’s may well be just what you are looking for. Come along and meet new friends and join in the fun. Spriteley’s is a day opportunity for older people in Grantham run by Adults Supporting Adults (ASA),a ‘not for profit’ charity. Spriteley’s is a day opportunity with a difference as we welcome lots of new and exciting guests to the group to entertain and inspire the members. The group takes place on a Tuesday and Wednesday from the community rooms at Central Place from 10am – 3pm. It is an extremely friendly and informal group, offering people an opportunity to come together to socialise and interact with each other and enjoy the relaxed activities planned for the day. The co-ordinators of the group plan the activities partly around people’s hobbies and interests but also with a view to widen people’s experiences and opportunities. Member’s enjoy activities like chair based bowling, flower arranging, art and craft, pottery painting, quizzes and bingo. But in addition to all of these activities, Spriteleys welcome guest entertainers and speakers to the group. 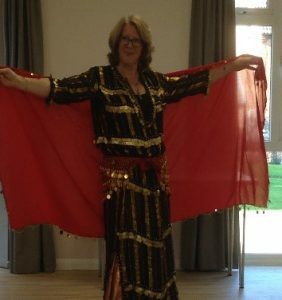 These include a local belly dancing teacher who demonstrated her art and also explained the history and culture behind the dance. 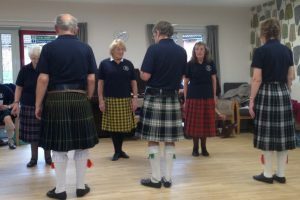 Highland dancers visited the group around Burn’s Night which set the scene perfectly and enabled the members to enjoy a themed day whereby they tasted delights from Scotland including Haggis. Whilst enjoying watching bagpipes being played and dancers doing the traditional dance. 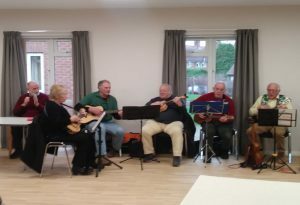 Members of U3A are also regular visitors to the group and entertain everyone with their music and songs. They perform a variety of songs which get people reminiscing. At lunchtime everyone comes together and enjoys a meal of their choice from Wiltshire Farm foods, one member said ‘this is the only day of the week I eat at a table with friends around me’ The cost of the day is £17.50, members are invited to have a Wiltshire Farm food meal at an additional cost or alternative bring a meal from home. If you are a carer, Spriteley’s could offer you a little respite from your role, knowing that your cared for person is with others and is being well looked after. If you are keen to know more please contact us on 01529 416270 or visit our website asaorg.co.uk. ASA are always looking for volunteers to support the group, if you feel you have some spare time and would like to volunteer, working alongside our experienced co-ordinators and existing volunteers please do call and speak with a member of the team.